With the growing popularity of digital marketing, more and more people are opting to take it up as a career. There are many different roles played by a digital marketer and you can find an expert for each specialization. 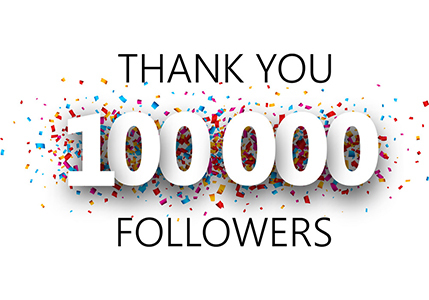 Since there is so much demand for such jobs that are many good Digital marketing certification courses offering their services to the public. With these courses, people are learning all the tricks and trades of digital marketing and thus becoming experts. But just because someone is an expert in the field, does not mean that they are the perfect fit for your business. There are many experts who might be great at their job but will not be the right professional for you. So before you hire a person for your digital marketing needs you need to ensure that they are the perfect fit for your business. This will help you to achieve the best results that you want from your digital marketing campaigns. 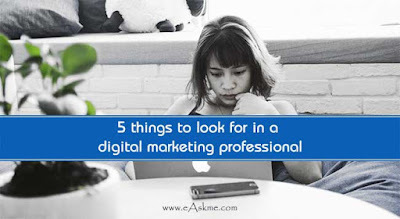 Here are 5 things to look for in a digital marketing professional. Experience is a very important element that you need to look for before hiring such personnel. You will notice that when an expert has worked in the particular field before designing a campaign for you, it is most likely that they will be able to cater to all your needs. A good digital expert will have the right ideas for a good digital campaign. Along with that they will be able to help you understand what are your need and objectives for that particular campaign. 2. Do they stand out from competitors? In today’s world of digitalization there is a lot of content already available online. So when you are creating new content, it needs to stand out. The best way to ensure that your content is standing out is by appointing an expert who has a unique style of digital marketing. If the experts is able to stand above competition with his work, your digital presence is definitely going to be very strong. 3. Are they competitively priced? Cost is a very important element for any business. So if you are planning on hiring an expert, you need to first have a fixed budget. This will help you to understand what amount you are willing to spend on creating a strong online presence. When you are short listing candidates, one of the elements to consider is the price that they will be charging for such services. 4. Can they show results up front? Digital marketing means converting lads into actual profits. The professional should be able to show you the results up front. When you are planning on hiring an expert, it is always a good idea to look at the past results in order to understand what you can expect from them. 5. What do other customers have to say? Reading the reviews from the previous clients will help you to understand how the expert functions. It is always recommended that you read reviews before you hire professional services. If you are able to get satisfactory answers to all these questions, then we recommend that you hire this professional. If you are looking to get a professional who is an expert in his field, we always advocate that you look for someone with some professional degree. This ensures you that they have the knowledge required to design amazing campaign and manage your content in the best way possible. In today’s world of digitalization, having a strong impression on the internet is very important and these experts are the ideal choice for your digital success.